Free Live Demo: Click here to try out this add-on for Super Forms! 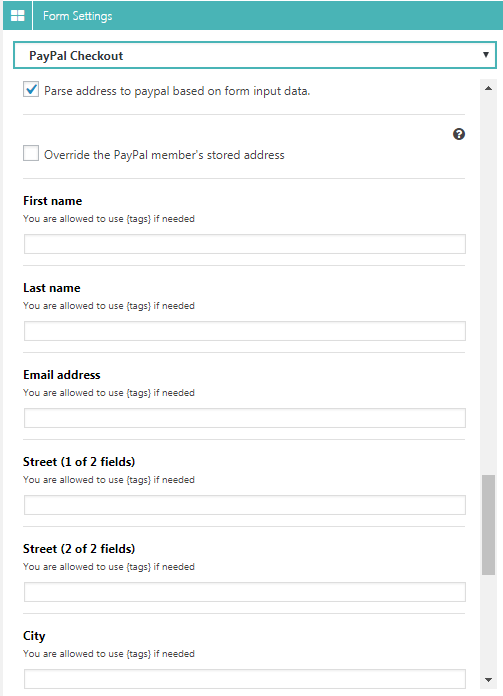 you can create forms where users will be redirected to the PayPal’s checkout page. From “subscriptions with trial period checkouts” to “simple one product checkouts” it’s all possible with this add-on for Super Forms. 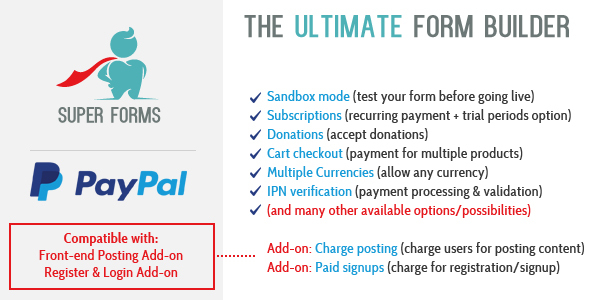 Because of it’s seamless integration with Super Forms your contact entries status will be updated after PayPal IPN has notified your website about a successfull payment. Along with this a new Transaction will be created so a record of payments will be kept within your WordPress back-end. – Your PayPal ID or an email address associated with your PayPal account. Email addresses must be confirmed. Select whether or not to prompt buyers for a shipping address. Prompt for an address, but do not require one. Do not prompt for an address. Prompt for an address and require one. – The URL to which PayPal posts information about the payment, in the form of Instant Payment Notification messages. – Description of item. If you omit this variable, buyers enter their own name during checkout. – The price or amount of the product, service, or contribution, not including shipping, handling, or tax. If you omit this variable from Buy Now or Donate buttons, buyers enter their own amount at the time of payment. – Note: The value for quantity must be a positive integer. Null, zero, or negative numbers are not allowed. – If profile-based shipping rates are configured with a basis of weight, the sum of weight values is used to calculate the shipping charges for the payment. A valid value is a decimal number with two significant digits to the right of the decimal point. – Pass-through variable for you to track product or service purchased or the contribution made. The value you specify is passed back to you upon payment completion. – Discount amount associated with an item, which must be less than the selling price of the item. – Number of additional quantities of the item to which the discount applies. – The cost of shipping this item. – The cost of shipping each additional unit of this item. – This value overrides the weight values of individual items. If profile-based shipping rates are configured with a basis of weight, PayPal uses this value to calculate the shipping charges for the payment. 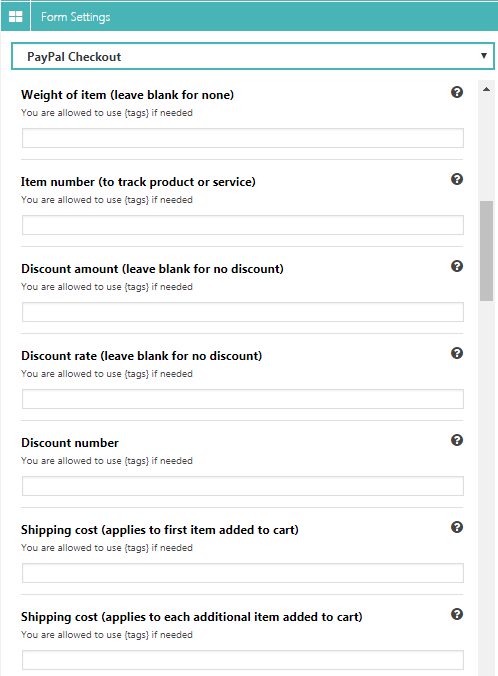 – Single discount amount charged cart-wide. It must be less than the selling price of all items combined in the cart. – Single handling fee charged cart-wide. – Sets the language for the billing information/log-in page only. Default is US. 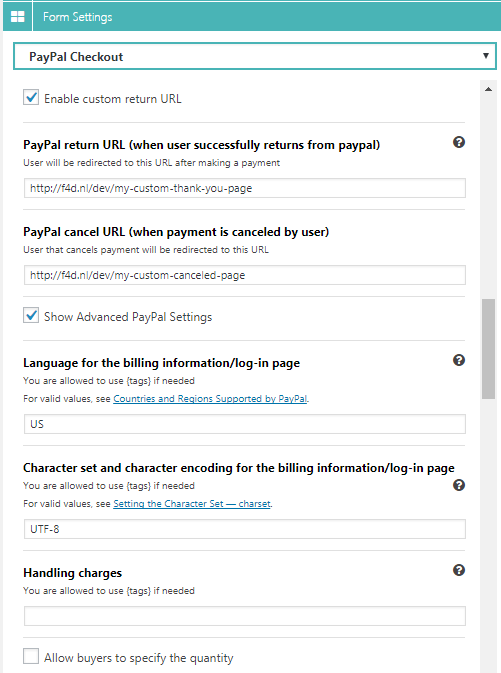 – Sets the character set and character encoding for the billing information/log-in page on the PayPal website. 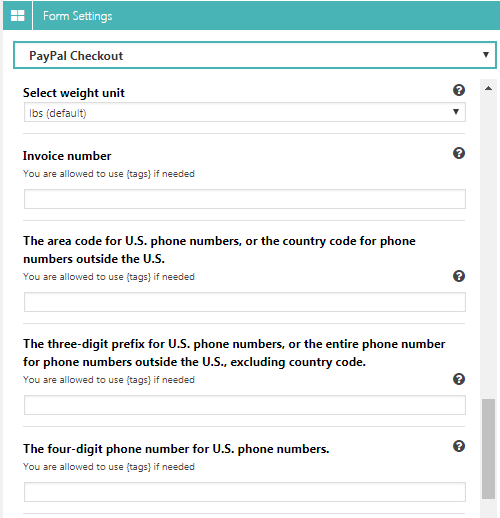 In addition, this variable sets the same values for information that you send to PayPal in your HTML button code. Default is based on the language encoding settings in your account profile. – This variable is not quantity-specific. The same handling cost applies, regardless of the number of items on the order. – The unit of measure if weight is specified. – Use to identify your invoice number for this purchase. The area code for U.S. phone numbers, or the country code for phone numbers outside the U.S.
– PayPal fills in the buyer’s home phone number automatically. 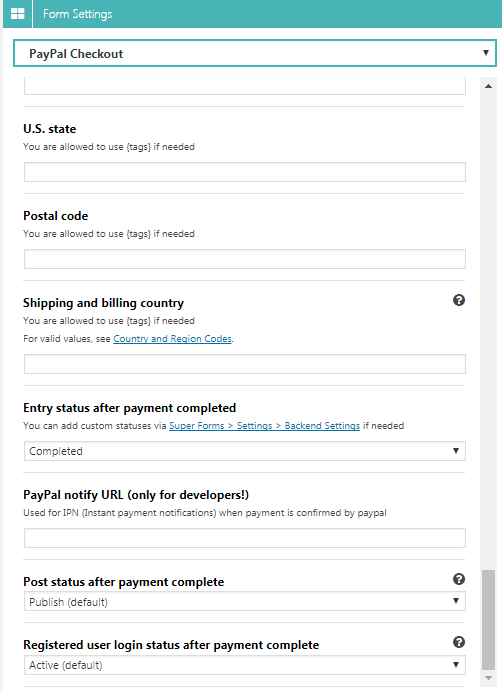 – Parse the entered address information to paypal. 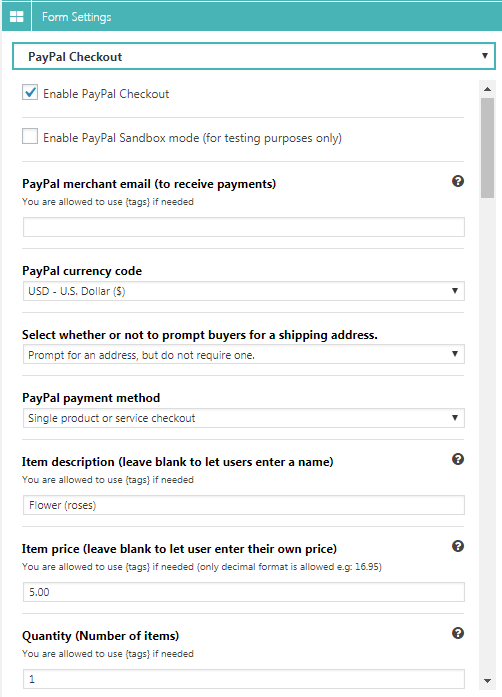 This will not override the PayPal member’s default address unless you enable the ‘Override’ option below.